I don’t have an iPad or a tablet computer though I hanker for one but I do have my Samsung Galaxy Ace phone. After I got my Samsung Galaxy Ace, I discovered Zinio and I love it! Zinio is a free magazine app for reading magazines on the Android device. However, you would have to subscribe to the magazines. 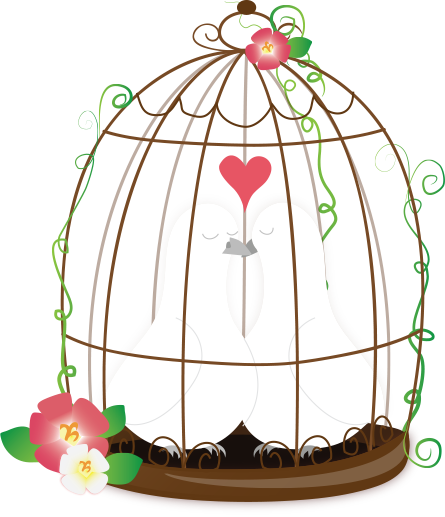 The titles available are very comprehensive and subscription is easy. I would certainly subscribe to some magazines if I had a tablet computer because reading would be so much easier then. In the meantime I am enjoying my free magazines from Zinio. After I registered with Zinio, I received a $30 coupon which I immediately used for purchasing some magazines. Later on, I received another $10 promotional coupon which I used up too. In addition to these you can browse and download free magazines to read. I love reading the magazines digitally. Some of the magazines have a text only section for you to select so you have a choice of reading the magazine as it is or text only. It’s like reading the real thing because you can flip the magazine and what I love the most is it does not take up my shelf space at home which is exploding with books. It helps save the environment too. At the moment, I currently have these on my Zinio library. Some of them are single issues, some are one year’s subscription. The best part is… they’re all free! I am currently reading these on my zinio..
OWL magazine for 9 to 13 year olds. It includes the science behind how things work, quizzes, contests, and topics on everyday life. My boy likes the comics in them. Women’s Health Magazine is for the woman who places importance on being healthy-physically and emotionally. I like to read mostly the fitness, nutrition and weight loss part. I read Glamour for fashion and beauty advice. Well, even a SAHM needs a little Glamour now and then. American Girl Magazine is Created especially for girls age 8 and up, American Girl is an appealing, age-appropriate alternative to teen magazines. It features advice, crafts (I like this part), puzzles, games, giggles, and more. This one’s for my girl naturally. Cosmopolitan is the largest selling young women’s magazine in the world, Cosmopolitan is famous for its upbeat style. It focusses on the young career woman and often has candid and open discussions on the contemporary male/female relationship. Well, I’m still young at heart so I can read this one though targetted at the younger working woman. Scholastic’s Parent & Child magazine is an useful resource for parents who want to play an active role in all aspects of their child’s development and learning. I find Parenting Magazines boring usually but sometimes I read them to get some much needed advice and ideas on Parenting. Marie Claire offers solutions for the time pressed busy woman on fashion and beauty. It also includes global and cultural issues. Marie Claire is also targetted towards the younger working woman. New Scientist magazine has the latest science and technology news, putting discoveries and advances in the context of everyday life. New Scientist relates the advancements of human knowledge to the broader impacts on society and culture, making it an interesting read for inquisitive people who wants to know why. This is one of the magazines I selected when I browsed for free magazines to download and read. It’s not what I would normally read but it is interesting. I also have the local Her World Magazine and the WebMd Magazine on my Zinio Magazine reader for my Android Phone. I am currently reading all of them at the same time. What I like about a digital magazine reader is the fact that it automatically leaves a bookmark on the page where you are reading. The next time I read, I just continue from where I left off. My magazines are all downloaded for offline reading on my Android but I can choose to read them on my PC as well if I like. I prefer my Android because it is more portable, that is all. I also like the fact that Zinio delivers magazines from all over the world directly to me. Some of these magazines are not available to me on the local news stand. So many magazines to read and all for free! If you haven’t got it already, you just have to check it out. You won’t regret it. Here’s the Zinio link. Where can I buy Massimo Bread? No worries, it will hit your regular bread vendors very soon. I got mine at my usual newspaper vendor who sells bread as well. You will probably have seen the advertisements for Massimo Bread in the local newspapers. So what is the big deal? Well, to me the big deal is, at last we have got more competition within the bread industry. Yahoo! Previously whenever Gardenia raised bread prices, I had to swallow my complaints along with my bread because there weren’t many other brands out there accept for High 5 bread. How does Massimo bread compare to Gardenia bread in taste? What about taste? How does the Massimo Bread taste like? 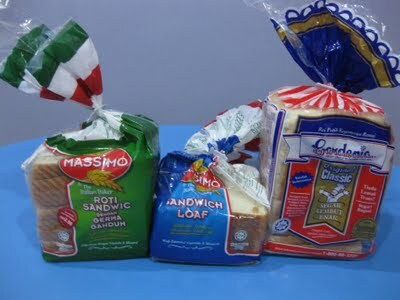 To me, the Massimo bread wheatgerm variety (in green packaging) which was priced at RM2.50 during the introductory period (till end July if I am not mistaken) loses out to the Gardenia wholemeal which seems more wholesome although the Massimo probably turned out better in terms of taste. As for the Massimo white bread which is in a blue packaging, I think it tastes better than the Gardenia white bread. The price is the same. RM2.40. Massimo bread tastes better because it is more fluffy and fuller in taste. I don’t think the fact that the white loaf is cut into 12 pieces while the Gardenia one is cut into 14 pieces has anything to do with it either. They’re both of the same height and size exactly apart from the different number of pieces. So you essentially get the same amount, just different number of slices. Unfortunately you can’t see that in my picture as I forgot to take it before we ate some. Which bread will I buy? Massimo or Gardenia or High 5? I’ve never gotten used to High 5 since it has always been Gardenia for me. I guess I will buy both Massimo and Gardenia now that I have a choice. Each week we eat about 3 loaves of bread. 1 long loaf and 2 small loaves. I’m just happy that now I have more choices. Which bread do you prefer? What would you do if you saw an elderly person or a mother and a young child who appears to need your help? Would you help them or would you walk away? I am afraid that if you were to help them, there is a possibility that you would be robbed instead. That is the sad state of affairs we are in. Well, she certainly looked around, because when they left, the teacher’s handphone which was left lying on the table was gone. The woman had followed the principal to another premise to look at another center owned by her. She did the same thing there, asked to look around etc. Finally she left. The teacher had been quick to contact the principal and they managed to track down the woman and the child at their car. An argument ensued and the woman instructed the girl to go to the car. The girl came back with an iron bar/rod. (I can’t imagine a young girl doing that. How can it be? A young girl!) Then they quickly got into the car and drove off as fast as they could. They had also given a false address because when the kindergarten checked later, there was no such person staying there. The teacher and the principal chased after them but she drove too fast and they soon lost her. Of course they made a police report since the woman had threatened them with an iron bar. They were worried about the safety of the kids. What if the woman came back with more accomplices to show her anger? Apparently this woman and young girl modus operandi is not new. One even took off with some car keys lying on the table and drove off with a teacher’s car at another kindy. A few months ago, the household association in my area issued a warning to residents informing us that some elderly persons or young children would go around ringing the door bells of people’s home. If no one answered, the house would be a target for theft. If someone answered, they would pretend they were at the wrong house etc and leave. One would never suspect and elderly person or a young child but you should. You should always be aware of your surroundings and try not to give anyone the opportunity to commit any crime. A lot of crime happens because of opportunity and because of unawareness. After reading and hearing of more and more cases like these, I am afraid that I have turned into a hard hearted person. If anyone approaches me, I would turn away. I have been approached before at bus stops by men requesting for money because they needed money for taxi fares, phone calls etc. My family has been approached while we were dining at a coffee shop by a man asking for money because he needed help etc. We just harden our hearts and turn away. Now I will even have to turn away from elderly persons and young children because I no longer know who I can trust. I prefer to walk soaking wet in the rain rather than take a lift from good samaritans. It happened before. Once, I was soaking wet in the heavy rain and many cars honked to see if I needed a lift. I just shake my hand and walked on. I don’t know who is good and who is bad. They all look the same. The worse criminals may be the ones who look the most kind because they have set out to mislead us. I can no longer trust anyone, sad to say. Now, what I would like to know from everyone is, how do you normally book hotels or make reservations for rooms? Do you go direct to the hotel, through agent or via internet? Which is cheaper and easier? I tried to go direct to hotel but the rates seem so high. Another thing, they wanted confirmation by paying deposit for one night’s stay which is the norm, given that it is the peak period.Â Now, I am a paranoid person and I don’t like to give out my credit card information as required. They require the last 3 numbers of the credit card along with other personal details plus a photocopy of the credit card itself, back and front. What if it should fall into the wrong hands? So I requested to pay by banking in to the banks account but you know what? They don’t accept individual personal cheques. They only accept banking in cash. To me, thats a silly policy because if I bank in now, it will have lots of time to clear. Anyway, they gave my a banking account number with a different payee name, not the hotel name. Ok, so perhaps the payee is the owner of the hotel under a different name but do they really expect people to bank in cash to a name that is registered differently from theÂ hotel name? When I asked the reservation lady to email the bank account number to me she was not very friendly. I didn’t want her to give it to me over the phone in case I hear wrongly. She just said “Yah” and hung up without even saying goodbye. Mind you, the room is notÂ cheap since I am taking a big family type room to accomodate my maid as well. Hmmm…. I am now in two minds whether to look for other accomodation. So I would like to know how does everyone normally make their bookings and confirmations? Can anyone help out this blur queen?